On Thursday the 5th of March the Minister for Universities and Science, Greg Clark, visited the National Space Centre in Leicester, to sign a Growth Deal for Leicester and Leicestershire that will see up to 3000 new jobs and 1300 new homes created. 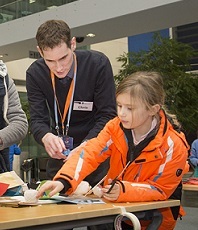 The National Space Academy along with the Satellite Applications Catapult took part in the Rutherford Appleton Laboratory's Stargazing event on Friday 23 January. The National Space Academy is extremely pleased and proud to announce that Sarah Llewellyn-Davies, subject leader for Astronomy at Castell High School, and Lead Educator for the National Space Academy has been awarded the Patrick Moore Medal for Education for 2015. 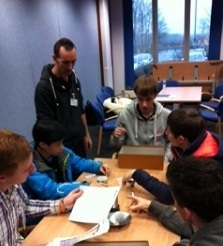 The final of the International Space Challenge was held on Thursday 4th December at Shirebrook Academy in Derbyshire. 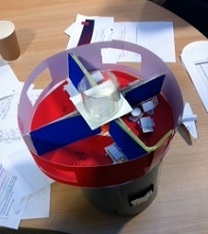 The Space Challenge requires the students to imagine they are an engineering company working in a European Consortium designing and building a space hotel. The National Space Academy is extremely pleased to welcome the official opening of the Banbury Space Studio School. The National Space Academy team would like to congratulate ESA and all of the scientists involved in the Rosetta mission on their successful landing and data collection by Philae. 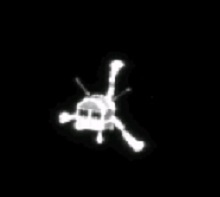 Philae's job is now done, but there is still so much for the Rosetta mission still to complete. 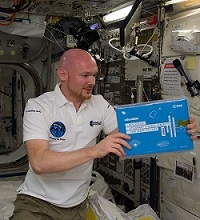 The National Space Academy is extremely pleased to see the arrival of a commemorative box to the International Space Station. The box, flown on the final ATV (Automatic Transfer Vehicle) ATV-5, contains the master copies of the five ATV videos, written and presented by the National Space Academy for ESA Education. Recently an exciting new database was launched to promote aerospace and STEM based careers in science, technology engineering and maths to women and girls across the UK and abroad. 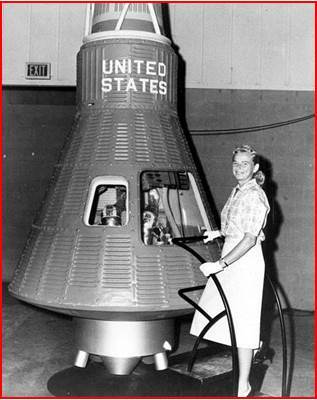 The new Women in Space database created by the Engineering Telegraph Jobs team provides an inspirational look at the careers of women who have excelled following a STEM focussed education. 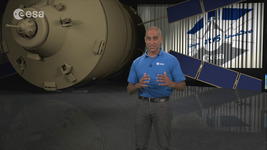 The National Space Academy is excited to announce the production of five new videos which were released recently to mark the launch of the fifth and final Automatic Transfer Vehicle (ATV). This series of educational videos aimed at those aged 16+ was commissioned by the European Space Agency to mark the culmination of the programme of unmanned vehicles that have been demonstrating a novel way to supply the International Space Station since 2008.